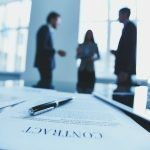 All equipment, material, and articles incorporated into the work covered by this contract shall be new and of the most suitable grade for the purpose intended, unless otherwise specifically provided in this contract. When is an unforeseen condition a ‘differing site condition’? 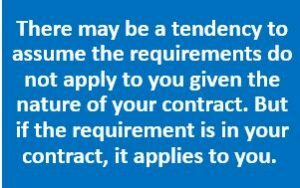 Many construction contracts contain some version of a “differing site conditions” clause. It is found in the current version of AIA’s A201 general conditions, as well as in the EJCDC equivalent. It also appears in most state DOT specifications, as well as in federal government construction contracts. Generally, it provides for a change order (subject to procedural compliance) when the contractor encounters (i) subsurface or other concealed conditions that differ materially from the conditions indicated by the contract documents or (ii) unknown physical conditions of an unusual nature differing materially from those ordinarily encountered and recognized as inherent to the work provided for in the contract documents. But, as they say, “timing is everything.” This adage applies, too, to a differing site conditions claim. In Olym­pus Corp. v. United States, 98 F.3d 1314 (Fed. Cir. 1996), the United States Federal Circuit Court of Appeals was confronted with the following ques­tion: Are delays caused by a govern­ment caused hazardous materi­als spill compensable under the federal Differing Site Condi­tions clause? The court an­­­­­s­wered “no” based on its con­clusion that to be con­sidered a differing site con­dition, the condition must exist at the time the contract was formed. Anyone in the construction business can attest to the fact that it’s an industry that defines the phrase “stuff happens.” And most of the time, there is someone to blame. Inconsistencies between versions of the plans and specifications; late ordering of long-lead-time specialty items; failure on the part of a subcontractor to adequately allocate resources; mathematical mistakes in the original estimate — all of these can lead to delays in the schedule and higher costs. These are also the result of human error, so each step in the decision-making process that led to the mistake can be evaluated and corrected for the future. 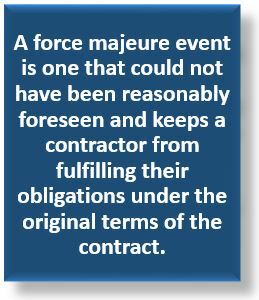 But then there are those events no one could have anticipated, and these happenings fall under the category of force majeure — bringing a whole new set of contract-related questions that all parties must address. 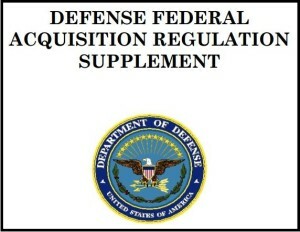 The Department of Defense (DoD) is seeking input from “entities significantly affected by federal regulations” on the contents of the Defense Federal Acquisition Regulation Supplement (DFARS). 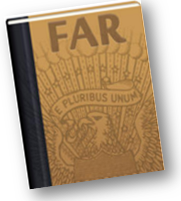 The DFARS are DoD’s rule for implementing and supplementing the Federal Acquisition Regulation (FAR) in the Defense acquisition. 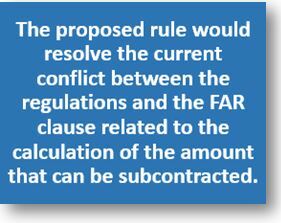 Small businesses are especially being encouraged to submit comments and opinions about the current DFARS, especially Part 252 solicitation provisions and contract clauses. Comments are due not later than August 21, 2017. Consult the link above for details.